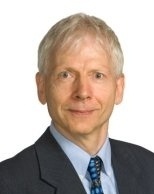 Harold is adjunct professor at the Faculty of Computer Science, University of New Brunswick, and chair of RuleML Inc.
His specification of Web rules through RuleML, currently developed beyond Version 1.0, has found broad uptake. It has been combined with OWL to SWRL, has become the main input to the W3C Recommendation RIF, and is now used for OASIS LegalRuleML. Harold’s recent innovations in data-plus-knowledge representation include PSOA RuleML and Grailog. His work on Rule Responder has enabled deployed distributed applications for the Social Semantic Web. descriptions. These advanced features require encoded constructs with auxiliary nodes and relationships, which also need to be kept separate from straightforward constructs. Therefore, various extensions of DLGs have been proposed for data & knowledge representation, including graph partitionings (possibly interfaced as complex nodes), n-ary relationships as directed labeled hyperarcs, and (hyper)arc labels used as nodes of other (hyper)arcs. Meanwhile, a lot of AI / Semantic Web research and development on ontologies & rules has gone into extended logics for knowledge representation such as object (frame) logics, description logics, general modal logics, and higher-order logics. The talk demonstrates how data & knowledge representation with graphs and logics can be reconciled. It proceeds from simple to extended graphs for logics needed in AI and the Semantic Web. Along with its visual introduction, each graph construct is mapped to its corresponding symbolic logic construct. These graph-logic extensions constitute a systematics defined by orthogonal axes, which has led to the Grailog 1.0 language as part of the Web-rule industry standard RuleML 1.0. Grailog has been used for teaching Logical Foundations of Cognitive Science and Semantic Web Techniques, and is being explored for PSOA RuleML querying of relational data in Clinical Intelligence.